Albuquerque’s Realm of Darkness is a relatively small operation that packs a monstrous punch. In 2010, the management here decided they wanted to start a haunted house that would serve the community it terrified. It has since employed high school groups like athletic teams and extracurricular clubs as volunteer actors, who in turn receive a huge portion of the proceeds to benefit their organizations. The combined passions of the showrunners and the students manifests into one of the most horrifying attractions in the Southwest. 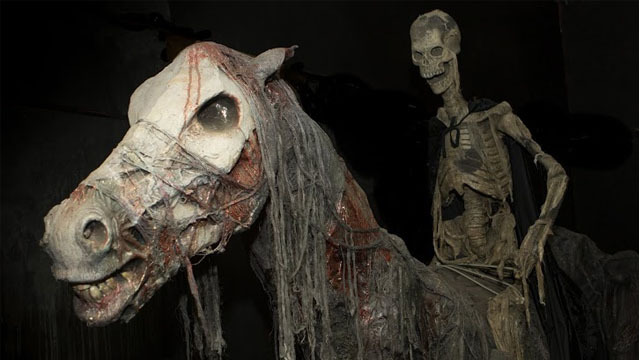 With impressive theatrical set designs, nightmarish creatures that change daily, and an inventive layout—all for a good cause—this haunted house is a must visit. Not only can you explore their two great haunts but you can reserve a firepit and picnic table for the night as well.